Termites are a serious problem in Australia and you need to protect the biggest investment you may ever make…..your home. Termite damage costs around $1 billion annually in Australia and is not covered by household insurance. The Termite Guys recently became accredited Termidor installers after attending a ‘face to face’ training day with Termidor representatives through a new training program. This gives us an edge over other companies having a better understanding of the science behind termidor and being armed with the knowledge of how Termidor should be safely and effectively applied around your home. Having all of our technicians accredited by Termidor allows us to offer Termidor’s 2 Million dollar warranty. 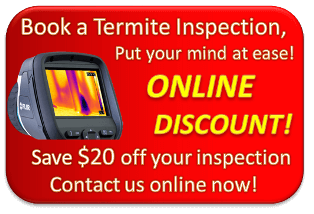 For more information Contact Termite Guys Brisbane today!